I had planned this weekend to do another Mad Men post, inspired this time by Betty Draper’s fabulous equestrian gear – has anyone ever looked so stylish having a nervous breakdown? 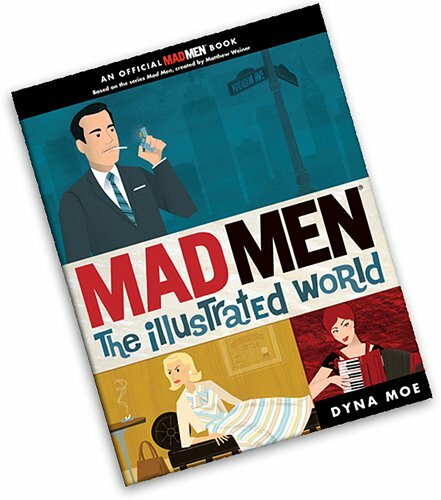 I was all raring to go, anyway, when this morning I got an email about the new Dyna Moe book, Mad Men: The Illustrated World. Betty can wait, this is far more important. Out just in time for Christmas (on sale November 25! ), this beautiful book is the only officially licensed tie-in to the series, and features page after pager of glorious Mad Men appreciation. SWOON. 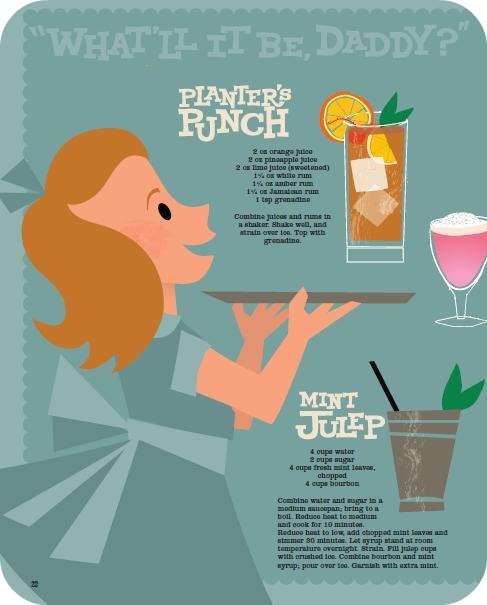 Sally Draper’s drink menu, (because toddlers should learn to mix a Tom Collins at the earliest age possible), hangover remedies, and in-law-appropriate recipes. Things every secretary should know (discretion and dry-cleaning, presumably? ), how to deal with difficult clients, and, maybe, how to get wee out of your trousers before that all important presentation. 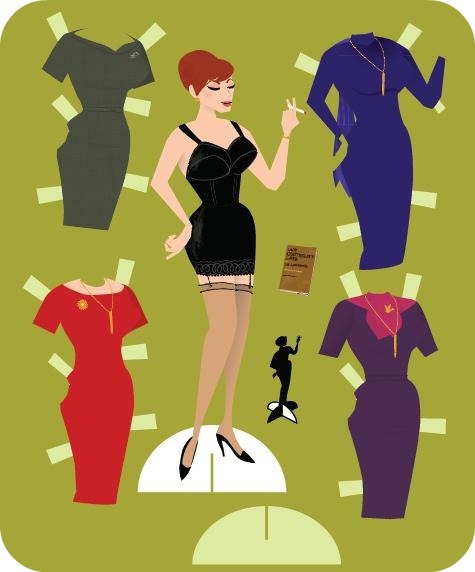 Joan dress up paper dolls!! 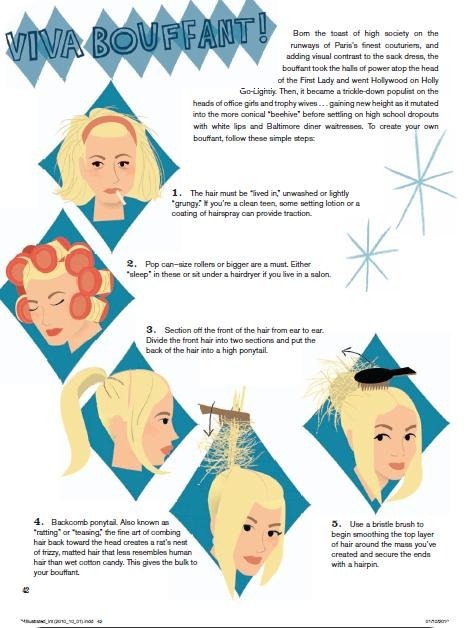 Beehive how-tos!! Advice on ‘not dressing like a little girl’, perhaps? Dance like Pete (PHWOAR), brush up on horsemanship skills, and maybe even a few one-liners from everyone’s favourite comedian, Jimmy Barrett? I’m so excited to see this, and without stating the obvious, it would make an amazing gift for any Mad Men worshipping friend this festive season. Just a note on the lovely illustrations – they are the work of Dyna Moe, the artist behind the marvellous Mad Men Yourself game.